When you’re a small business owner, some duties are more pleasant than others. While you may enjoy engaging with customers and marketing your services, you probably see bill-paying as a monotonous chore. Of course, you know if you don’t pay your bills, you won’t be in business very long. So you take time away from the work you love. You pay your bills or hire someone to do bill pay for you. 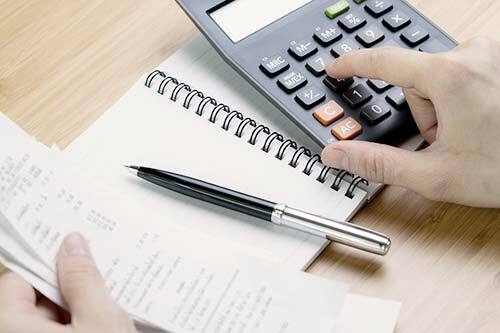 At Goode Bookkeeping & Consulting we provide an organized, efficient, reliable alternative for paying your bills on time. When we manage your small business bill-paying tasks we take the time-consuming responsibility out of your hands. Our team uses accounting technology to organize your bills and schedule payments. Our Bill Pay process handles your disbursements so they always reach their destination on time. Our team populates your Bill Payments with data from financial documents you scan or photograph and upload to your secure account. We integrate your data into your small business account and schedule timely disbursements. Goode Bookkeeping & Consulting uses the latest accounting technology to streamline your Bill Pay process. You save time and money because you don’t need a dedicated employee to handle your payments. Our technology helps us deliver efficient results at an economical price. If you’re like many small businesses, you still rely on paper. You might have a file cabinet stuffed with bills, invoices, and statements dating back to the day you started your company. While some businesses are more inclined to send paperless online bills, others (perhaps even you) might be reluctant to let go of your paper trail. We designed our document management services to organize and store your documents so you can move forward paperlessly. When suppliers and business resources bill you online, you simply forward the documents to your cloud-based account. When you receive bills from companies that still send paper documents, you can digitize them via scan or photo and upload them. Our team will merge them into your Bill Pay system. We’ll also organize and maintain easily accessible virtual copies. At Goode Bookkeeping & Consulting, we rely on the latest accounting technology to streamline Bill Pay and document storage. Our technology makes the process simple, convenient, and cost-efficient and we pass those benefits on to you. We rely on automation to balance your books and reconcile your business bank accounts and accounting records. We keep track of paid and pending bills and expenses. Our services make it easy to monitor your cash flow so you’ll always know where you stand. If you don’t want to track the day-to-day financial details, our suite of reports can show you the big picture when you need it. Because your business accounting system tracks all of your relevant financial data, we can easily generate an income statement, balance sheet, or cash flow chart to your specifications. Our reports present your financial data in a logical, organized format. They’re a powerful resource when it’s time to file your business taxes or apply for a business loan. I've known him for a number of years and he is great to work with. He is an experienced professional to get you business financial reporting in order and keep it there. If you are looking for a partner to prepare and/or maintain your financial reporting simple or complex I would highly recommend Shannon Goode.